The molecule of (4 ′-phenyl)-1,2,4-triazol-1-ium-phenacylid (PTPhY) is studied in two types of ternary solutions. In the first category, the binary solvent contains two hydroxyl miscible liquids, and the second one contains one protic and one non-protic solvents. The potential energy in pairs of the type hydroxyl solvent-ylid is estimated in the frame of the statistical cell model of ternary solutions. From the viewpoint of interactions in the first ylid solvation shell, the statistical average weight of the active solvent differs from its molar fraction in the binary solvent. I. Zugravescu, M. Petrovanu. N-Ylid Chemistry (McGraw Hill, 1976). D.O. Dorohoi. Electronic spectroscopy of N-Ylids. J. Mol. Struct. 704 (1–3), 31 (2004). C. Gheorghies, L.V. Gheorghies, D.O. Dorohoi. Solvent influence on some complexes realized by hydrogen bond. J. Mol. Struct. 887 (1–3), 122 (2008). V. Closca, L.M. Ivan, D.O. Dorohoi. Intermolecular interactions in binary and ternary solutions of two cycloimmonium carbethoxy-anilido-methylids. Spectrochim Acta A – Mol. and Biomol. Spectroscopy 122, 670 (2014). V. Pop, D.O. Dorohoi, M. Delibas. Considerations on the statistic model of the intermolecular interactions in ternary solutions, An. Stiin. Univ. Al. I. Cuza, Iasi, t. XXXII s. Ib, Fizica, 79 (1986). D.O. Dorohoi, M. Avadanei, M. Postolache. Characterization of the solvation spheres of some dipolar spectrally active molecules in binary solvents. Optoelectr. Adv. Mater. Rapid Comm. 2 (8), 51 (2008). Gh. Surpгюeanu, N. Caea, L. Sufleюel. Pierre Grandclaudon. Synthesis and characterization of new azatriazolium ylides. Revue Roumaine de Chimie 40 (6), 131 (1995). N. Melniciuc-Puica, V. Barboiu, S. Filoti, D. Dorohoi. Spectral Study of some Carbanion Monosubstituted 1,3,4-Triazolium Methylides (Balkan Physics Letters. Proc. Suppl., 2000). T. Abe. Theory of solvent effects on molecular electronic spectra, Frequency shifts. Bull. Chem. Soc. Japan 38, 1314 (1965). E.G. Mc Rae. Theory of solvent effects on molecular electronic spectra. Frequency shifts. J. Phys. Chem. 61, 562 (1958). N. G. Bakhshiev. Spectroscopy of Intermolecular Interactions (Nauka, 1972) (in Russian). C. Reichardt. Solvents and Solvent Effect in Organic Chemistry (Wiley-VCH, 2003). V. Closca, C.B. Zelinschi, D. Babusca, D.O. Dorohoi. Solvent empirical scales for electronic absorption spectra. Ukr. J. Phys. 59 (3), 266 (2014). M.J. Kamlet, J.L. Abboud, M. Abraham, R.W. Taft. Linear solvation energy relationships. 23. A comprehensive collection of solvatochromic parameters: п*, a and B, and some methods for simplifying the generalized solvatochromic equations. J. Org. Chem. 48 (17), 2877 (1983). Y. T. Mazurenko. Universal interactions in ternary solutions. Opt. Spektrosk. XXXIII (7), 1060 (1972). D. Dorohoi, V. Pop, The electronic spectra shifts of some cycloimmonium ylids in ternary solutions. An. Stiin. Univ. Al. I. Cuza, Iasi, t. XXXIII s. Ib, Fizica, 78 (1987). M.M. Dulcescu, C. Stan, D.O. Dorohoi. Spectral investigations on the influence of the hydroxyl solvents on intermolecular interactions in some pyridinium ylids ternary solutions. Rev. de Chimie Bucuresti 61 (2), 1219 (2010). M.M. Dulcescu, C. Stan, D.O. Dorohoi. Study of intermolecular interactions in water-ethanol solutions of some pyridazinium ylids. Revue Roum. Chim. 55 (7), 403 (2010). M. Avadanei, M.L. Ivan, C. Nadejde, D.O. Dorohoi. Spectral and thermodynamical studies on iso-quinolinium-carbethoxy-methylid (IQCEM) solutions with binary solvent water and ethanol. Rev. de Chimie Bucuresti 66 (2), 201 (2015). M. Avadanei, D.O. Dorohoi. 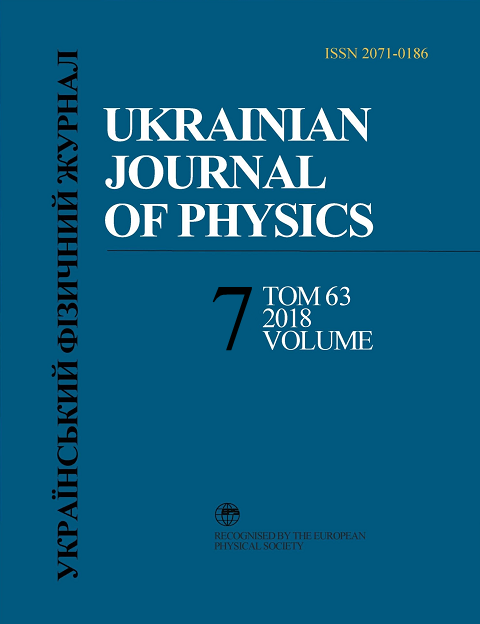 Interaction energy in pairs of pyridazinium ylid – solvent molecules estimated by spectral means within the cell ternary solution model. Ukr. J. Phys. 57 (2), 118 (2012). V. Closca, N. Melniciuc-Puica, D.O. Dorohoi. Specific interactions in hydroxyl ternary solutions of three carbanion monosubstituted 4?-tolyl-1,2,4 triazol-1-ium-4-R-phenacylids studied by visible electronic absorption spectra. J. Mol. Liq. 200, 431 (2014). N. Melniciuc-Puica, V. Closca, C.D. Nechifor, D.O. Dorohoi. Anisotropy of ternary solutions containing 1,2,4-triazoli-1-um phenacylids, studied by spectral means. Rev. Roumaine de Chimie 59 (5), 359 (2014). V. Sasirekha, P. Vanelle, T. Terme. Solvatochromism and preferential solvation of 1,4-dihydroxy-2,3-dimethyl-9,10-anthraquinone by UV-Vis absorption and laser-induced fluorescence measurements. Spectrochim. Acta A 71 (3), 2006 (2008). HyperChem 5.02 Molecular Visualization and Simulation Program. Package Hypercube Inc. Gaineswille, Fl, 32601. T. Schlick. Molecular Modeling and Simulation; An Interdisciplinary Guide (Springer, 2002). W.J. Hehre. A Guide to Molecular Mechanisms and Quantum Chemistry Calculations, Wave Functions (Irvine, 2003). H.D. Holtjie, W. Sippl, D. Rognan, C. Folkers. Molecular Modeling (Wiley-VCH, 2003). N. Melniciuc-Puica, V. Barboiu, S. Filoti, D. Dorohoi. Reactivity of some 1(N)-[para-R2-phenacyl]-(para-R1-phenyl)-1,2,4-triazolium methylides by UV vis IR and NMR spectra and molecular modeling. Spectr. Lett. 37 (2), 458 (2004). V. Closca. Solvatochromism behavior of ternary solutions of some 1,2,4-triazol-1-ium ylids. In: Electromagnetic Radiations in Analysis and Design of Organic Materials. Electronic and Biotechnology Applications. Edited by D.O. Dorohoi, A.I. Barzic, M. Aflori (CRC, 2017).